LG announced two new smartphones at IFA 2018 in the form of the G7 One and the G7 Fit. The G7 One is the more exciting of the two, offering good hardware, a decent design and a great display, even if the G7 Fit is the device with the more premium finish. The G7 One is the first device to run on Android One software rather than Android with LG’s skin over the top though, making it rather compelling. Here are our first impressions. 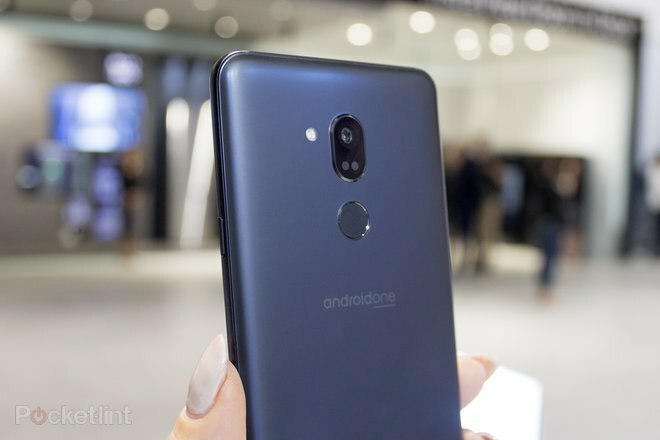 The LG G7 One has an almost identical design to the flagship LG G7 ThinQ but it ditches the glass rear for plastic and swaps out the dual rear camera for a single lens arrangement instead. 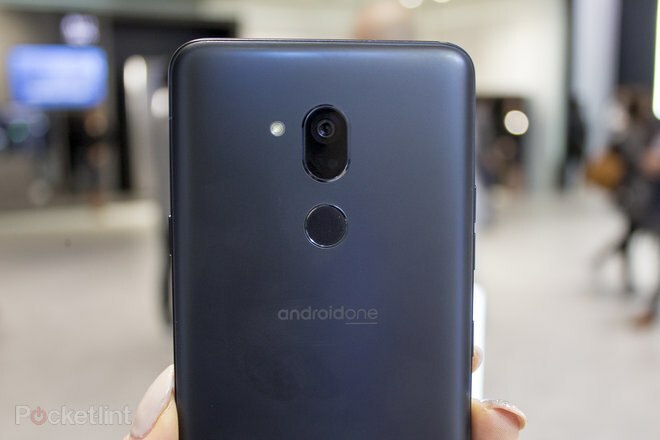 A notched display is prominent on the front of the device with a small chin, while the rear has a circular fingerprint sensor, along with the Android One branding in the middle. It’s a good-sized device, measuring 153.2 x 71.9 x 7.9mm, making it easy to manage one-handed and despite the plastic rear, the G7 One’s design is nice. It’s not as premium as glass naturally, but you get a slim device with some high-end design features, including IP68 water and dust resistance. 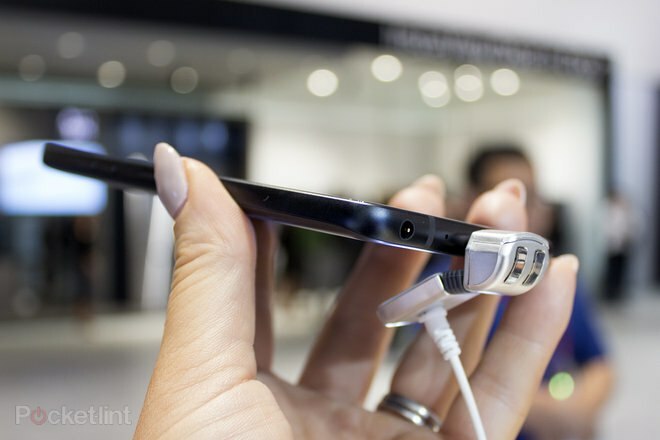 At the bottom there is a speaker, USB Type-C and a 3.5mm headphone jack. The LG G7 One’s display is one of its stand out features. There is a 6.1-inch FullVision display on the front, offering a Quad HD+ resolution that results in a pixel density of 564ppi. It’s an LCD display that offers up to 1000nits brightness and based on our first impressions, it appears to deliver good viewing angles with vibrant and punchy colours. Like the flagship G7, the G7 One has an aspect ratio of 19.5:9, allowing for a big display but in a smaller footprint. 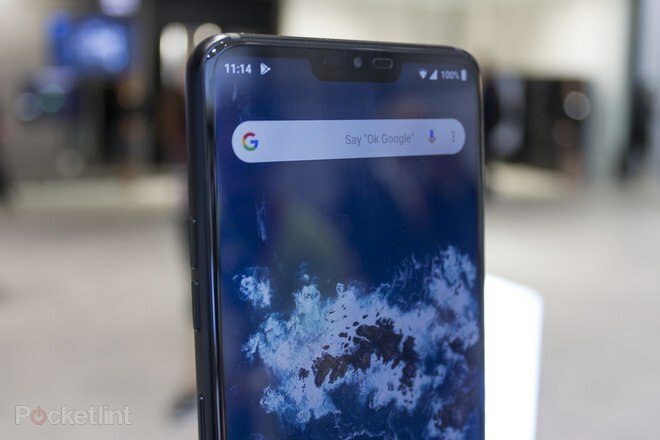 The notch design might not be to everyone’s taste, but it’s quite a small notch so it’s not too offensive. The LG G7 One doesn’t offer the latest hardware under its hood, but it has last year’s flagship processor so you’re still looking at pretty decent hardware. The Qualcomm Snapdragon 835 runs the show, supported by 4GB of RAM and 32GB of internal storage. There is microSD support for storage expansion and you’ll find a 3000mAh battery capacity too. There is also a 32-bit Hi-Fi Quad DAC on board the G7 One, and it will deliver virtual 3D sound for all content, up to 7.1 channel audio with DTS:X too. 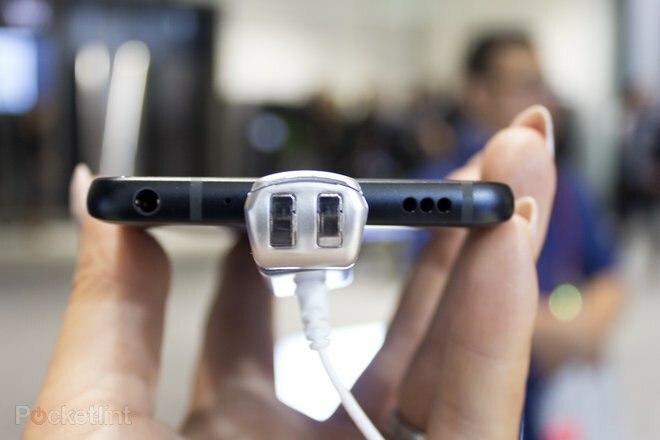 Additionally, the G7 One has the company’s Boombox Speaker, using the internal space of the phone as a resonance chamber to deliver more bass. The resonance chamber will also act as a woofer to amplify the bass effect even more when the G7 is placed on a solid surface or box. The LG G7 One doesn’t have a dual camera like the flagship G7. Instead, it offers a 16-megapixel single camera on the back with an f/1.6 aperture and a 71-degree field of vision. It will also offer the AI Cam that launched on the LG V30S later this year in an update. On the front, you’ll find an 8-megapixel snapper with a f/1.9 aperture and an 80-degree field of view. We didn’t get a chance to test the camera during our short amount of time with the G7 One, but LG typically offers decent results so we’re hoping the G7 One will do the same. We will let you know when we come to review the device in full. 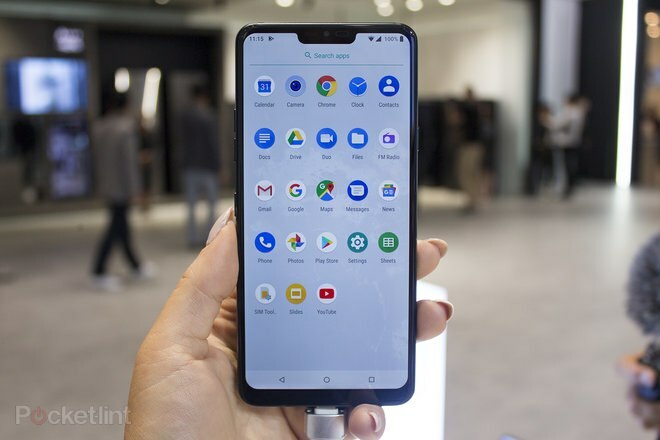 You also find Google Lens on the G7 One, a feature that is widely available on Android phones. It uses AI to pull out information from an image. For example, you could point your device at a specific landmark building that you might want to know more about and it will tell you what it is with information about it. 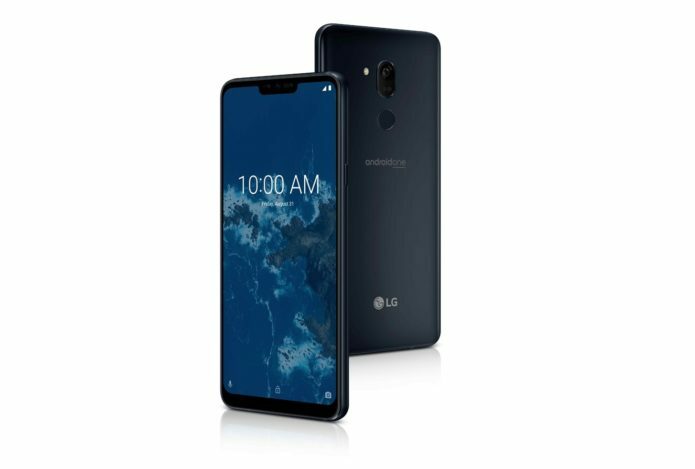 The LG G7 One runs on Android One software and it’s the first smartphone from LG to do so, as we mentioned. Android One is pure Android, delivering the full Android experience. The only elements manufacturers are allowed to change are the camera app and settings for hardware, meaning you don’t get any bloatware, no skin and no unnecessary apps. The user interface of the LG G7 One is therefore clean, quick and easy to use. Accessing settings is nice and simple, and you’ll get everything Android offers built in, including Google Assistant at the forefront. It misses out on a few things, such as a dual camera and the glass back that the G7 Fit launches with, which would have made for an even more compelling device, but there’s a lot to like about G7 One. Pricing has yet to be announced but we will update this review as soon as it is, as well as when we get a closer look at it. If the pricing is right, the LG G7 One could certainly be a device worth considering.